Exploring how the government’s new Sports Strategy will shape the future of the physical activity sector will be top of the agenda during the sector leaders’ debate at active-net 2016. A high-powered industry panel will discuss the implications of Sporting Future – A New Strategy for an Active Nation and how the leisure sector can maximise resultant opportunities. Sport England property director Charles Johnston will make a presentation on Sport England’s response to the new strategy, before joining an industry panel including Jubilee Hall Trust CEO Phil Rumbelow, alongside CLOA chair Mark Allman and BUCS CEO Vince Mayne. 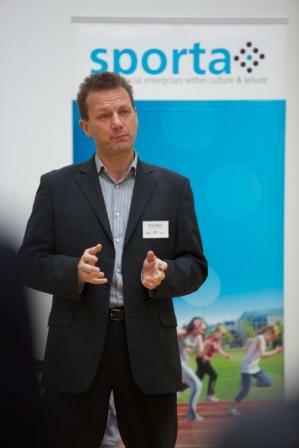 The session will be chaired by Mike Hill, director of Leisure-net Solutions, which organises the active-net. “We are very happy to have such a strong panel to debate this important new cultural change facing our sector, said Hill. Now in its third year, active-net brings together more than 100 leading operators and suppliers within the active leisure sector for business-focused, pre-selected one-to-one meetings, together with educational slots, networking lunches and an evening meal.